7 Errors in Our thinking that lead to Faulty Assumptions. Cognitive Distortions refer to our errors in thinking that lead to faulty assumptions and misconceptions. Aaron T. Beck, founder of cognitive therapy, believes that people with emotional difficulties tend to commit characteristic ”logical errors” that distort objective reality. 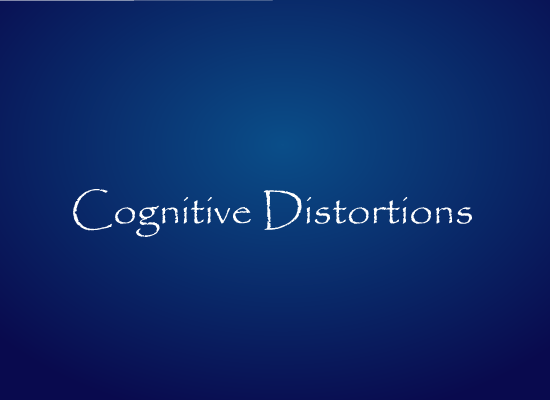 He came up with 7 types of cognitive distortions. I will define and provide an example for each. 1. Arbitrary inferences refer to making conclusions without supporting and relevant information. This includes “catastrophizing,” or thinking of the absolute worst scenario and outcomes for most situations. For example, you believe that someone doesn’t like you without actual information to support that belief. 2. Selective Abstraction consists of forming conclusions based on an isolated detail of an event. This includes ignoring the context or other relevant details. For example, you fail a quiz and you think that this will ruin your entire grade, when really the quiz was only worth 3% and you still have an entire course to ace. 3. Overgeneralization is a process of holding extreme beliefs on the basis of a single incident and applying them inappropriately to dissimilar events of settings. This is sort of like selective abstraction except you generalize the experience to other events. For example, after you failed the quiz, you think that you will now fail quizzes in all other classes. Another example is when you embarrassed yourself in public speaking and you now think that you will always embarrass yourself when speaking to anyone. 4. Magnification and Minimization consist of perceiving a case or situation in a greater or lesser light than it truly deserves. An example of magnification is when you make a small mistake and you think that you’ve made a really big one. An example of minimization is when you failed a test worth 25% and you think that this will not impact your grade. 5. Personalization is a tendency for individuals to relate external events to themselves, even when there is no basis for making this connection. For example, this is like when you blame yourself for something you didn’t do. 6. Labeling and mislabeling involve portraying one’s identity on the basis of imperfections and mistakes made in the past and allowing them to define one’s true identity. For example, you screwed up in the past, and now you think you are an evil person. 7. Dichotomous thinking involves categorizing experiences in either-or extremes. It’s a type of polarized thinking where events are labeled as either black or white. For example, you think that people are either good or bad.